There are currently 4,974 users on this website. I doubt this Tuvalu stamp is the biggest, but it must be close. It was printed in sheets of, uh, one! The stamp measures 3 inches wide by 4 and a bit high. 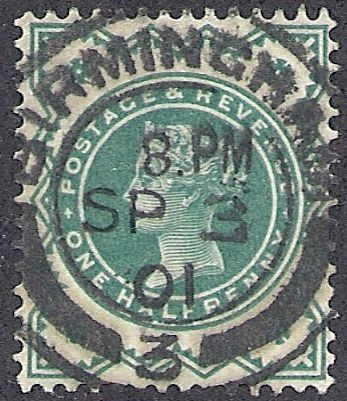 What is great about it is the postmark - the cancel is not SON (Socked on the Nose), but SOB, Socked on the Bum! And check the look on the kids face - must really have felt the hammer! The ERR MAIL stamp can be viewed at Matthews Memory Lane Motors at the intersection of S.E. 26th and Holgate in Portland, Oregon. went on display May 23, 1995 in Portland, Oregon. Ok Warehouse, I'm talking about real stamps valid for postage. But if you want to expand this, check out the Canada Post 100' x 100' stamp! For reference, here are some links to a couple of earlier threads on this topic. Let's re-phrase it. I want to find the world's biggest/largest stamp valid for postage (not revenue) and listed in Scott or Gibbons. A used sample would be preferred. Good one Cd, it is CTO, but that is ok - give me the size in inches, not in Vulcan metric units. BeeSee, To bad there is not a clearer pic of the Canadian roof top stamp. That would now be the largest postage stamp, but being on a roof if not regularly maintenance it wouldn't survive. We need measurements of the "postage" stamps for proper comparisons. 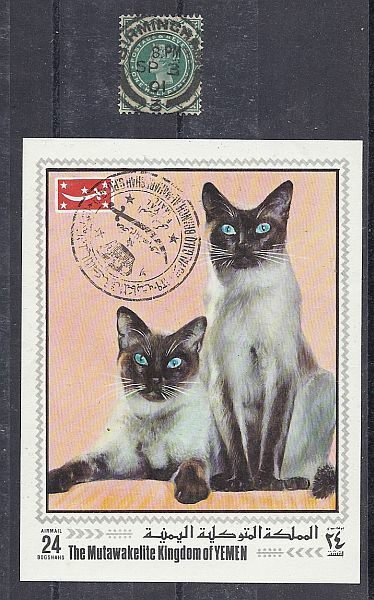 The Yemeni cats are exactly 3.25x4.25 inches. Eh ok CD's cats are in first place so far. BeeSee, What's the size of your Tuvalu? These are the biggest stamps I have. Not perfect, but pretty nice. The Tuvalu Rembrandt SOB is 3" x 4 1/8", (75mm x 106mm) so the cat is still on top. It took 1.27 seconds to lick this stamp.